The iconic American road trip is generally a summer affair, thanks in part, to rock n’ roll, convertibles, and school vacations. 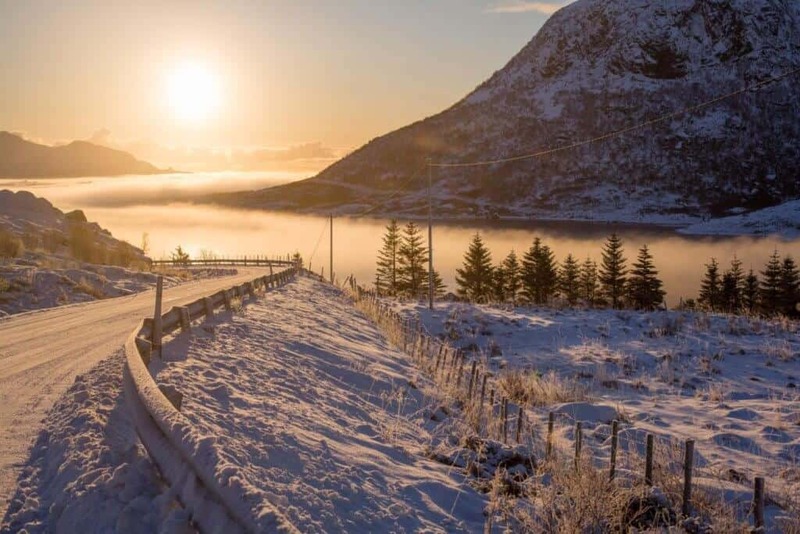 Winter provides a totally different road-trip scene – perhaps a bit less romantic, but just as exciting. 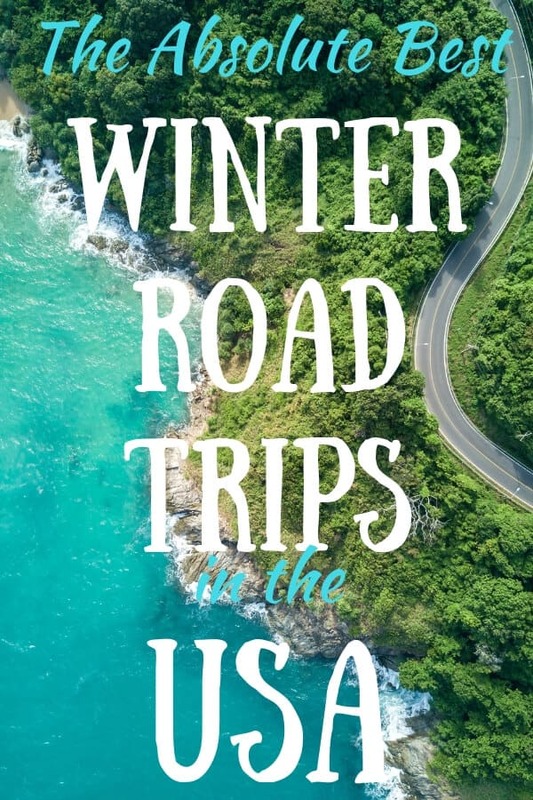 Winter road trips generally involve a lot less traffic, fewer crowds, and probably an extra bag full of warm coats in the trunk. Of course, there are a whole lot of American destinations where winter temperatures are much less extreme than in the summer. And plenty more where snow tires are a requirement. The path you choose is yours alone, but we can certainly make some suggestions. Ready to find your winter adventure on the open road? 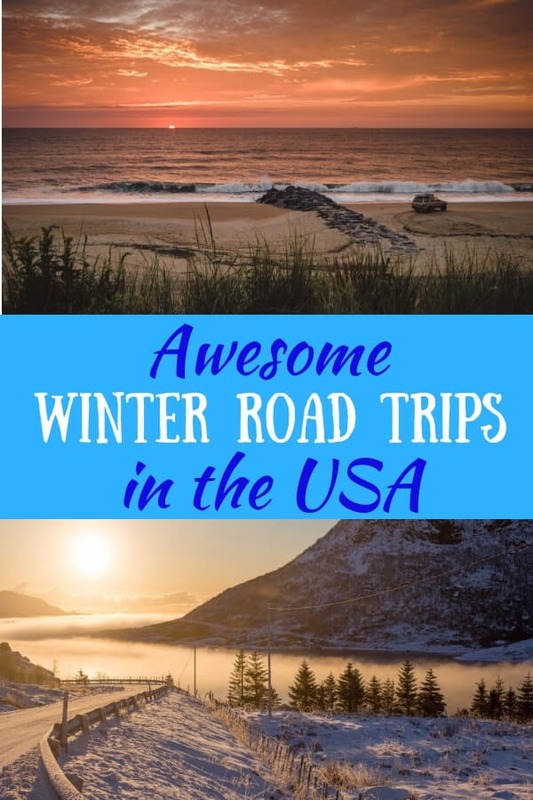 These are the best winter road trips in the USA, perfect for a long weekend getaway or a midweek escape. Cold winter temperatures got you down? Sounds like you’re ready for a southern vacation. Time to dust off that swimsuit and head to where the weather suits your clothes. These are the best winter road trips to escape the cold. can’t not go to the Big Easy when you have the chance. Spend a couple days eating, sightseeing, and exploring a city that’s unlike any other in the U.S. It’ll be hard to leave New Orleans, but there’s still a whole state waiting, so head south toward the bayou, an area of Louisiana that’s truly unique. 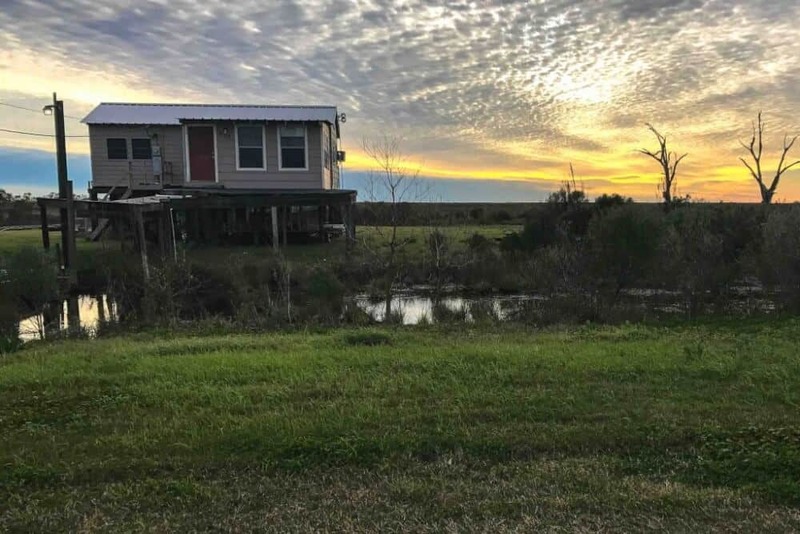 Basing yourself in Houma or Thibodaux will give you some insight into everyday life in small-town Louisiana, and it’ll be easy to make the drive down to Cocodrie, a tiny town where most of the houses are built on stilts. Just a couple hours away, Lafayette is the heart of Cajun and Creole country, and you’ll be able to learn all about the area’s history at multiple museums and cultural centers. If you have time, you can also take a day trip to St. Martinville, Henderson, Erath, or one of several other nearby towns. On the way back to New Orleans, stop in Louisiana’s capital of Baton Rouge. You can go up to the top of the country’s tallest capitol building, and don’t miss the museum housed in Louisiana’s Old State Capitol. Read more about this winter road trip in Louisiana on Passions and Places. 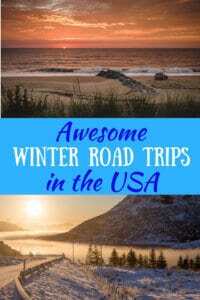 The South is a great place to take a winter road trip. Although snow and cold temperatures are possible, the weather usually stays rather mild. I would start the road trip in Atlanta, Georgia. Atlanta is a fantastic city to visit, dine, and explore. Visitors will enjoy the World of Coca-Cola, the Georgia Aquarium, Centennial Park, touring CNN Studios, and visiting the College Football Hall of Fame. Under two hours away, visit the quaint German city of Helen. Yes, it is true that there is a little Bavarian village nestled in the mountains of northern Georgia. Not only will visitors enjoy walking the charming downtown area, but there are a number of scenic waterfall hikes less than 5 minutes away. Another two hours away is the next stop on the road trip, Greenville, South Carolina. This city is an up and coming destination in the U.S. The downtown area boasts several great restaurants, a fantastic children’s museum and a beautiful waterfall park called Falls Park on the Reedy. The Swamp Rabbit Trail is a 20 mile paved biking and walking lane connecting Greenville and two smaller towns. 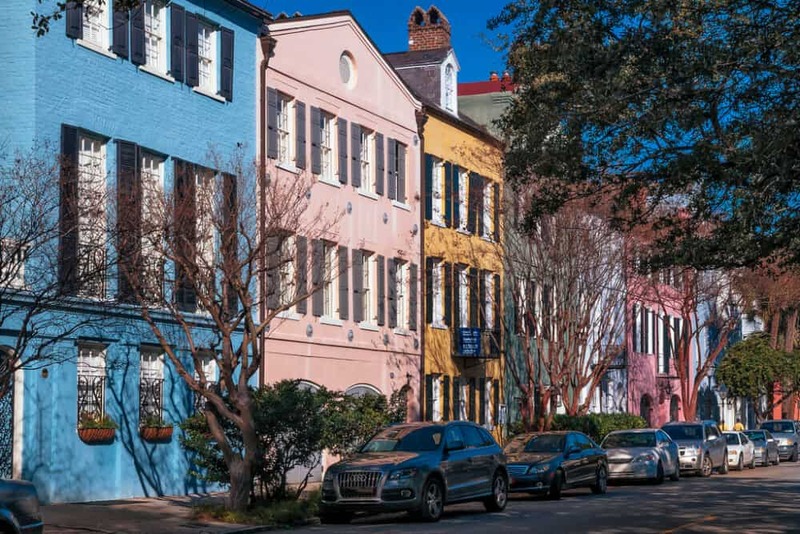 Charleston, South Carolina is a three-hour drive away from Greenville and is loaded with southern charm. Things to do here include walking the waterfront Battery to see Fort Sumter, visiting the Charleston Public Market and touring a World War II aircraft and submarine in nearby Patriots’ Point. Charleston has long been known as a foodie city and has numerous famous southern restaurants like Husk and Hominy Grill. A visit to a southern plantation is a nice idea for those wanting to know more about the way of life in the 19th century. A little over 2 hours away is the small city of Savannah, Georgia. The walkable historic area oozes low-country style. Visitors can ride a paddle boat on the river, explore the many public squares and fountains, and tour famous houses from the colonial period. Heading back to Atlanta is just under a four-hour drive from Savannah. Florida has long been a winter destination for many Americans escaping the cold of the north. One of the best winter road trips in the State is the Florida Key stretch, starting in Homestead, south of Miami. The ocean highway scenic journey to Key West takes about three hours from mainland Florida. Key Largo is the first stop in your Florida Keys road trip. Here, you can find some of the best scuba diving destinations in the USA, as well as several great restaurants and pubs to get you in the island mood. Several other possible pitstops include Islamorada, Marathon Key, and Duck Key. Finally, you’ll come to the end of Highway 1 in Key West. 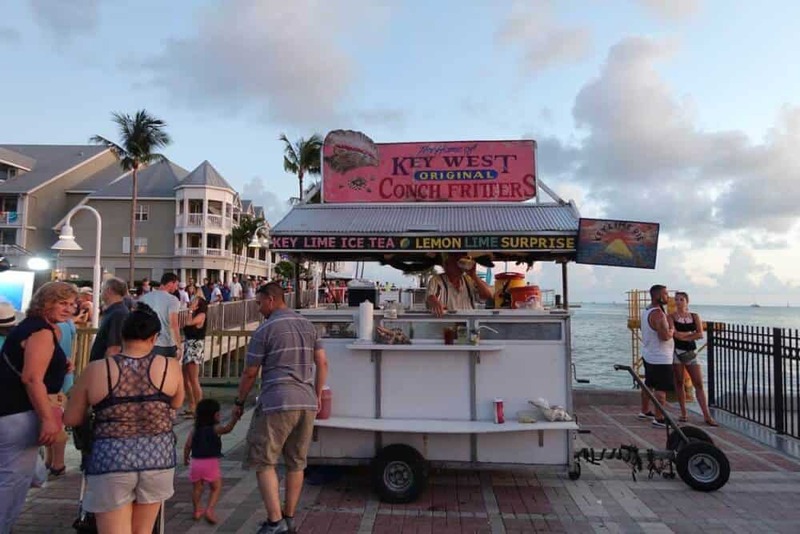 Key West is rich in history, natural beauty, and famous landmarks. You can visit the Southernmost Point Buoy and Historic Marker, Duval Street, Ernest Hemingway House and Museum, The Key West Butterfly and Nature Conservatory, and the Key West Lighthouse. A great day excursion and a hidden gem in Florida is Dry Tortugas National Park. One of the most remote National Parks in the nation, these small islands are simply gorgeous. There is so much to do and to see here, starting from a guided tour of historic Fort Jefferson to kayaking or snorkeling in the turquoise waters around the islands. It’s a trip you won’t soon forget. California’s desert national and state parks make for a wonderful winter road trip. With pleasant daytime temperatures, you can get out of the car and explore the desert, whether it is through hiking a canyon or walking on sand dunes. The spectacular landscapes and amazing night skies will leave you spellbound. Start this road trip in Las Vegas, Nevada, a popular landing spot for both US and international travelers because of its proximity to many natural wonders. You can loop back to Vegas after you tour the parks, or end your trip in Los Angeles. From Las Vegas, head first to Death Valley National Park in southern California. About 2.5 hours away from Vegas by road, Death Valley National Park is the largest national park in the contiguous United States. Known for having recorded the hottest temperature ever on earth, Death Valley is very pleasant during the daytime in winter although it gets chilly at night. At Death Valley National Park, you can walk on vast salt flats, photograph picture-perfect gold sand dunes, see the sunrise at the spectacular Zabriskie Point, and hike colorful canyons. Allow at least one full day to see the highlights. Spend the night in the park, at one of three resorts. Early the next day, drive to Palm Springs, California, about 5 hours away. In the afternoon, explore the city of Palm Springs, famous for mid-century modern architecture and palm-lined main shopping street. On day three, explore Anza Borrego State Park, about 90 minutes from Palm Springs. You will drive past the strange Salton Sea, a saltwater lake that seems to go on forever. At Anza Borrego, marvel at the huge metal sculptures strewn around the desert, hike through a slot canyon, and enjoy a desert sunset. Sleep in Palm Springs. On the final day, get an early start for your day in Joshua Tree National Park, about an hour away. 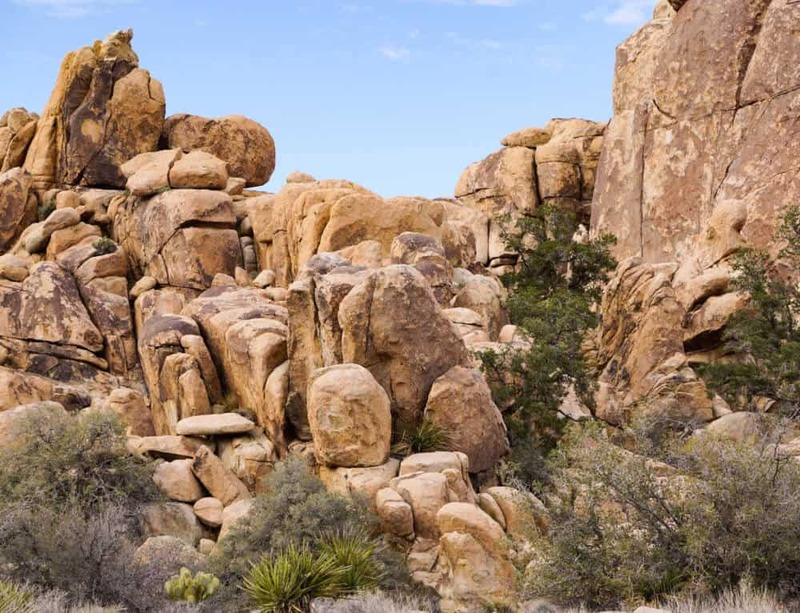 There are tons of things to do in Joshua Tree! Do some rock scrambling on the gigantic boulders that Joshua Tree is known for. Watch expert rock climbers in action. Hike a trail or two. Admire the diverse plants in the park, including the strange Joshua tree for which the park is named. Joshua Tree National Park is located not in one desert but two…the Mojave and the Colorado. At the end of the day, drive to Los Angeles, a little over 2 hours away, or back to Las Vegas. A road trip from Phoenix to Las Vegas is a great way to combine some of USA’s coolest spots in one long weekend – and enjoy some variety, too! 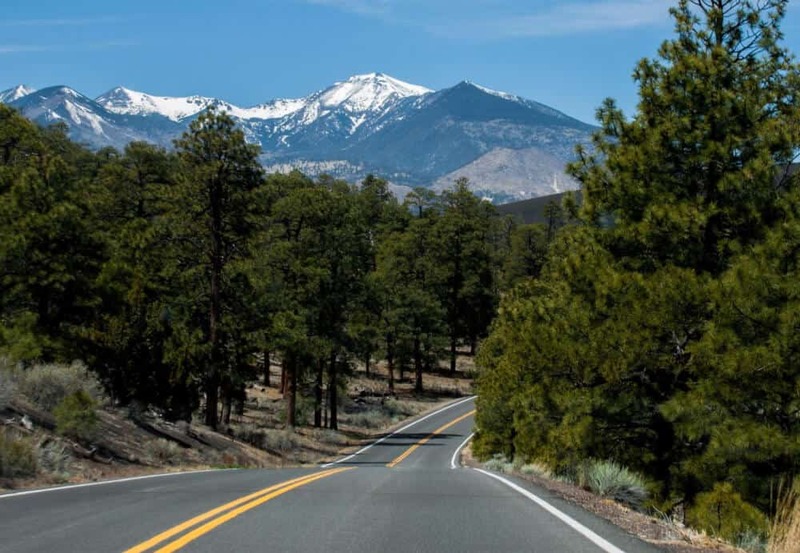 As soon as you head out of Phoenix, drive up through the stunning landscapes of Tonto National Forest or Prescott National Forest, before arriving at one of the natural wonders of the world: the Grand Canyon. Stay here overnight and enjoy a sunset like no other. In the morning, you’ll want to get up early to drive to the Havasupai Trailhead. 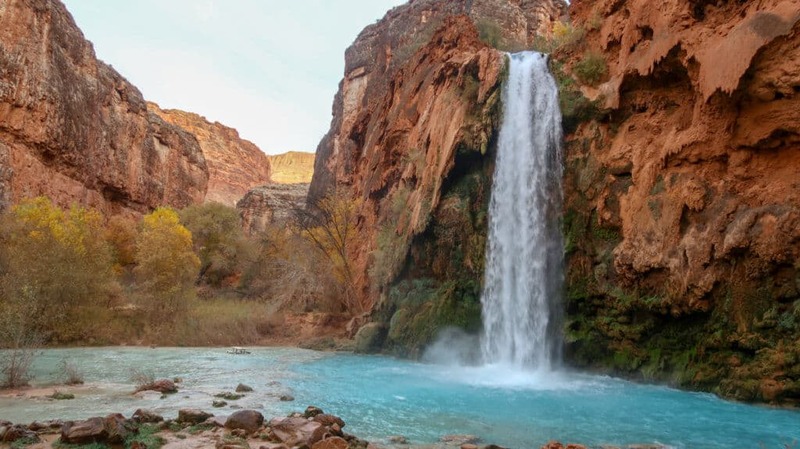 If you want to attempt the Havasupai hike, you’ll need at least a full day because it takes around 5 hours each way. Staying overnight at Havasu Falls is well worth it if you can get a spot – and the wintertime is pretty much the only time of year that’s possible! If you don’t fancy the hike, you can take a helicopter one way for around $100.It’s around a 4-hour drive from the Havasupai trailhead to Las Vegas. Vegas is the kind of place everybody should visit at least once, and you’ll appreciate the extravagant hotel room (and bathtub!) even more after a night at Havasu Falls. Depending on how much time you have, spend at least one night enjoying the Vegas Strip and taking it all in. While some folks hope to escape the cold on their winter travels, others want to embrace it. 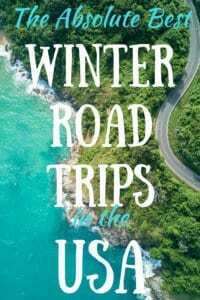 The following destinations make the best winter road trips for folks who don’t mind snow or freezing temperatures. Some of these destinations are actually quite mild in the winter months – we just can’t make any promises. Vermont’s longest state highway runs 216 miles from north to south, through the rugged Green Mountains. 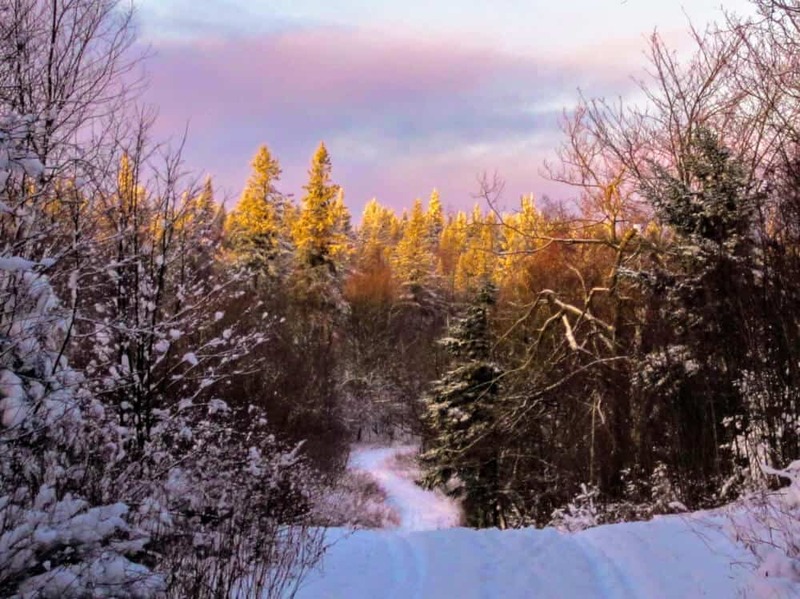 Route 100 is incredibly scenic and well-loved, meandering through small New England villages, the Green Mountain National Forest, and alongside a number of ski resorts and beautiful state parks. 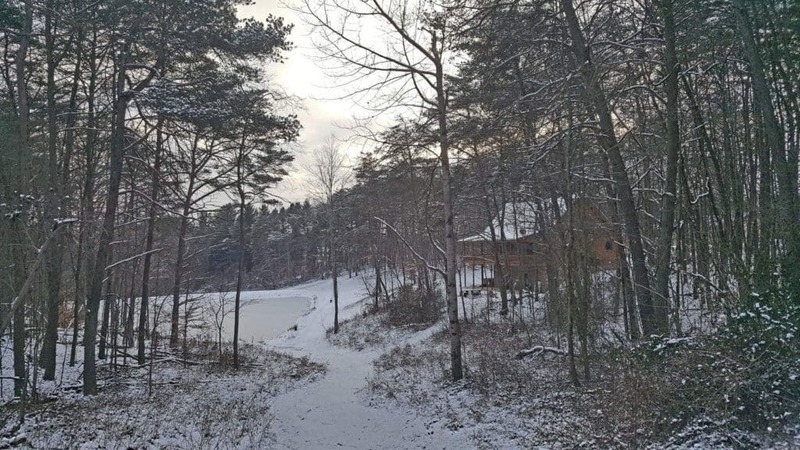 Along the way, you’ll find a wealth of recreation opportunities, not to mention fabulous shopping, dining, and lodging. It’s no wonder Yankee Magazine named Vermont’s route 100 one of the best summer road trips in New England. Traveling route 100 in the winter is a bit more adventurous, but unless there’s a major snowstorm, the road is generally well maintained throughout the winter. Begin your journey in the mountain village of Wilmington, just north of the Vermont-Massachusetts border. Here you’ll find several boutiques, fabulous restaurants, and bed and breakfasts. Wilmington is a bit of a hub because of its proximity to Mt. Snow, which is one of Vermont’s best-loved ski resorts. As you head north, be sure to stop in Weston, which is home of the world-famous Vermont Country Store. If you fancy a local microbrew with your view, check out Long Trail Brewing Company in Bridgewater Corners. The farther north you travel, the more the mountains and forests will be covered in snow. Instead of shutting down for the winter season, Vermonters embrace it. Waterbury, in the northern Green Mountains, is a foodie heaven – home to Ben & Jerry’s, Cabot Cheese, Lake Champlain Chocolates, and Cold Hollow Cider. Spend some time here and indulge! The adventure town of Moab, Utah is our favorite place to go for a weekend road trip in the winter. We can escape the cold and snow for a few days to enjoy outdoor activities. Exploring Arches National Park in the winter is the best. It’s the off-season so there are no crowds and the temperature is nice for hiking the trails compared to the scorching heat during the summer. Drive about 25 miles to visit Canyonlands Island in the Sky and Dead Horse Point State Park. You can photograph the stunning views or explore the trails on foot or bike, again without the crowds or heat. Winter temperatures in the area are pretty moderate with the high being 40-50 degrees and lows in the 20-degree range. Moab is a high elevation desert. The nights are cold and the days are warm. Be sure to dress in layers. It usually doesn’t snow, but when it does, it doesn’t last long. The white snow against the red rocks is spectacular to see! 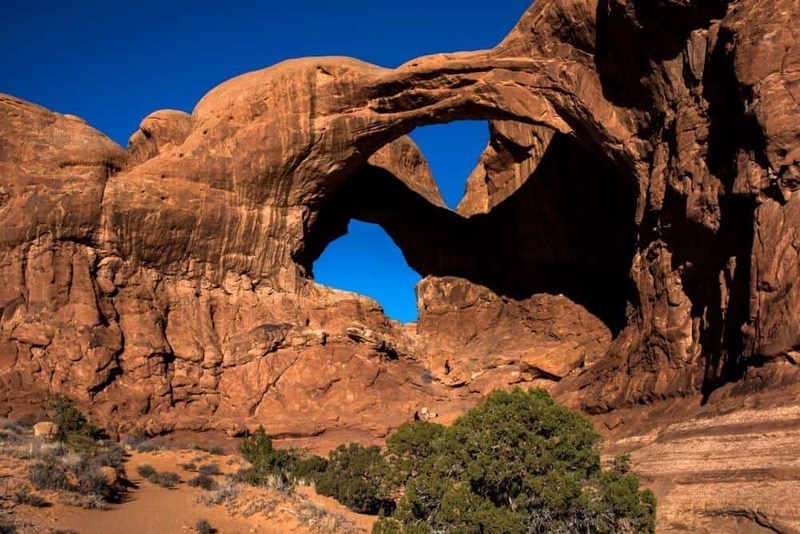 There are plenty of things to do on a weekend road trip with 2 national parks, 1 state park, and numerous hiking and off-road trails near Moab. You’ll wish you had more time than just the weekend! 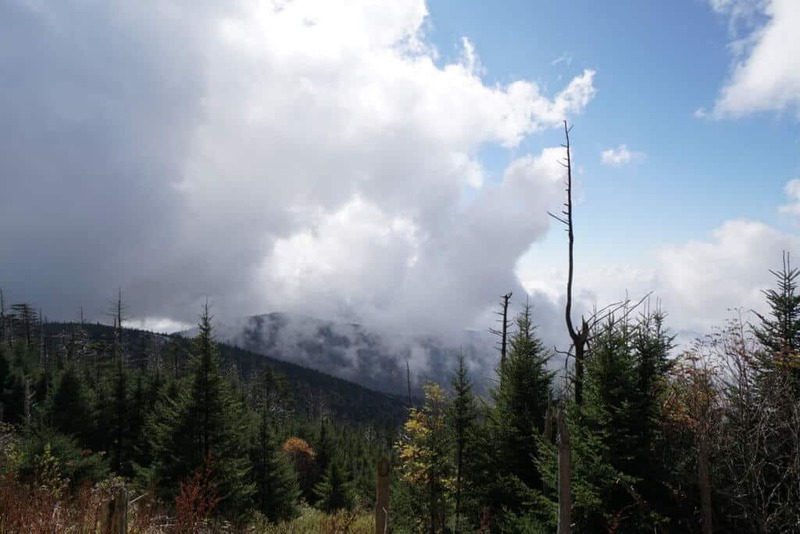 There is no better way to get a glimpse at what makes the Smokies so special than to experience the beauty of the Smoky Mountains on Hwy 441 through the Great Smoky Mountain National Park to Cherokee, North Carolina. Spend the day hiking to Rainbow Falls or exploring the shops and restaurants downtown. Stay at Hilton’s Doubletree Park Vista Inn for the best views of the mountains and downtown Gatlinburg. Since you are taking to the road today, we recommend grabbing a coffee and a donut at the Donut Friar. Then hit the road early to get ahead of the traffic. Make a brief stop at Sugarlands Visitor Center, then continue south on hwy 441 to the 5,048 foot Newfound Gap where Tennessee meets North Carolina. After taking in the view of this “lowland” area, drive 15 minutes to the Clingman’s Dome parking area, grab your lunch and backpack, and take the steep but not too technical hike to Clingman’s Dome, the highest point in Tennessee at 6,643 feet. Finish the day by heading to Cherokee, NC to learn about the Cherokee Nation at their outdoor theatre or try your hand at the slots at Harrah’s Casino. We recommend driving on into Asheville, NC to spend the night unless you stay at Harrah’s as the hotel choices are fairly limited in this area. If you took our recommendation to stay in Asheville, you will have already arrived in our little “Los Angeles” of the east. Time doesn’t allow us to go into all there is to do in Asheville, NC, but we definitely recommend some time be spent touring America’s Largest Home: The Biltmore Estate. You can also enter the Blue Ridge Parkway from Asheville to enjoy even more breathtaking mountain scenery. 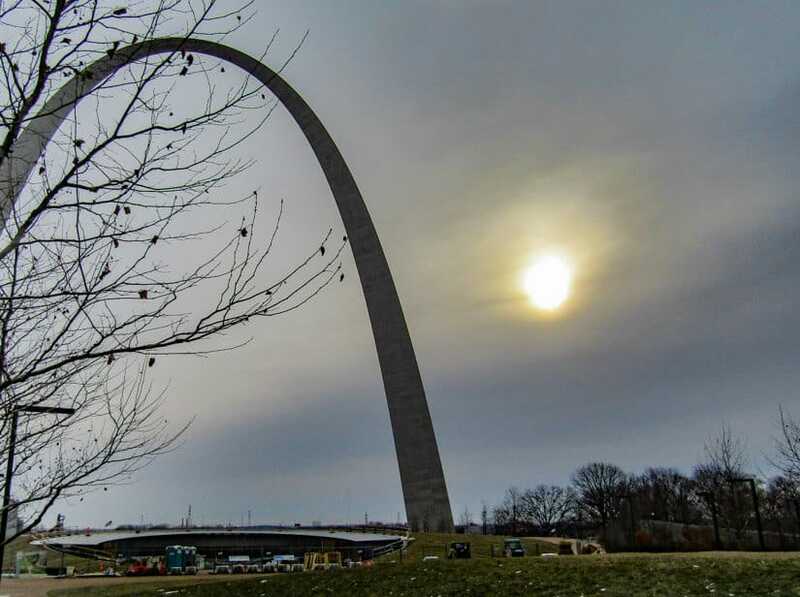 Chicago to Memphis is an ideal winter road trip. There is so much to do, and most of the driving is along Interstate 55, so road upkeep should be good. There are a dozen potential stops, but for 3 or 4 days, stick to the major cities. As a starting point, Chicago has a multitude of things to do, but for some unique winter choices, try sledding beneath Soldier Field, or ice skating in front of the Jelly Bean at Millenium Park, or at the Sky Rink at Peninsula Chicago. Once on the road, Springfield, Illinois is the first stop. The Abraham Lincoln Home National Historic site is open all year, and there are a number of other sites within walking distance, including the Lincoln Presidential Library and Museum, which is fun and educational for all ages. St. Louis is the next stop. Visit the Jefferson National Expansion Memorial, one of the US newest National Parks. Tour the Old Courthouse, let children participate in the Junior Ranger program, and take that heart racing trip to the top of the Arch. Afterwards, try a brewery tour, or spend some time outside at Forest Park, with a walk through the zoo, and outdoor ice skating at Steinberg Skating Rink. Wrap up in Memphis, where the essentials are the Mud Island River Park and Museum, with its outdoor scale model of the Mississippi River, and the National Civil Rights Museum, which shares the story of Dr. Martin Luther King and the ongoing fight for equality. Music lovers may want to go a different route, with a visit to Graceland, the Stax Museum of American Soul, Gibson Guitar Factory, and Sun Records. It doesn’t matter what time of year you visit Hocking Hills, you’ll find it to be one of the most scenic destinations in Ohio. But when winter hits and the region is blanketed with a layer of snow and the waterfalls slowly turn to ice the landscape is transformed into a Winter Wonderland. 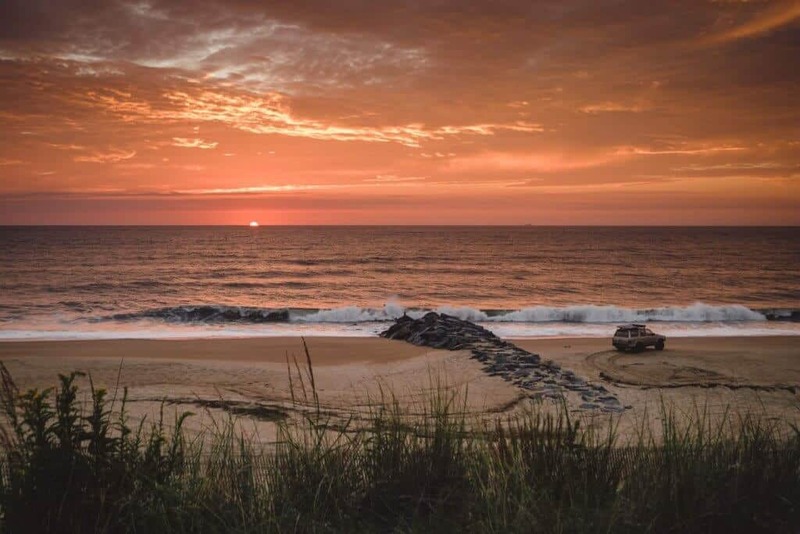 While the main draw to the area is the hiking trails located in the nearby state parks (there are five of them), you’ll also find the small towns throughout the region are worth a visit too. To reach Hocking Hills, travelers in Central Ohio can take State Route 33 E south out of Columbus. I suggest taking a slight detour on to 22E to explore downtown Lancaster. Grab a bite to eat at The Well or JB’s Downtown Grill, shop for local handcrafted goods at Miss Molly’s Mercantile, or explore the displays in the Ohio Glass Museum. Don’t miss the artwork on the square by local students. Head back to 33 E and follow it to State Route 664. If you turn towards Walmart, you’ll head into Logan to find the Hocking Hills Winery, Olde Dutch Restaurant for Amish-style buffet dining, or Pearl’s Diner for down-home-cooking. You’ll also find the World’s Largest Washboard hanging on the side of the Columbus Washboard Co., the only manufacturer of washboards in the United States. Turning right on 664 leads you to Old Man’s Cave State Park, one of the most photographed trails in the area. Conkle’s Hollow State Nature Preserve, Ash Cave and Cedar Falls are all a short distance away. Continuing further on 664, you’ll come to historic Nelsonville. You’ll find unique architecture, an opera house with regular events and The Emporium, an artsy gallery full of items from local artists. Grab a cup of coffee at FullBrooks Cafe and a bit to eat at The Boot Grill in the Rocky Outdoor Gear Outlet. You’ll find plenty of cabins with a variety of amenities nearby for a home away from home while you explore. Take the slow road from Salt Lake City, Utah to Las Vegas, Nevada. If you drive it straight through, it’s six hours on a mind-numbing interstate freeway. But stretch it to three days and you can tack on two national parks, three state parks and all of the red rock you can handle. Doing the list below extends your drive time to ten hours, but that leaves you plenty of time for hiking and sightseeing. 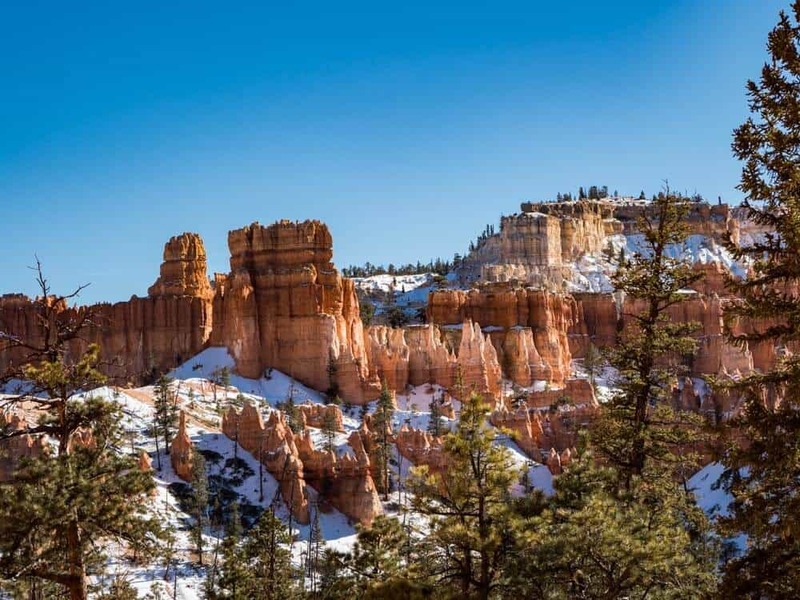 Bryce Canyon National Park: Do sunrise at Sunset Point and/or sunset at Sunrise Point. Queens Garden is a nice, short day hike. Zion National Park (enter from the east via Hwy 9): Check in at the ranger station for ranger-led hikes or consider the Canyon Loverlook Trail for views. Snow Canyon State Park: Pick your distance from many interconnecting trails. Valley of Fire State Park: A lot of the interesting geology on or just off the paved roads. The Fire Wave hike is the most popular. Las Vegas: Go retro and do some fun kitschy things in downtown Vegas. If you have an extra half day, go hiking in Red Rock Canyon, just west of Las Vegas. Thanks for including our contribution! There are so many other places on here I’d love to road trip! When we road tripped through the South, we didn’t make it to GA or SC, so we hope to get back there for sure!